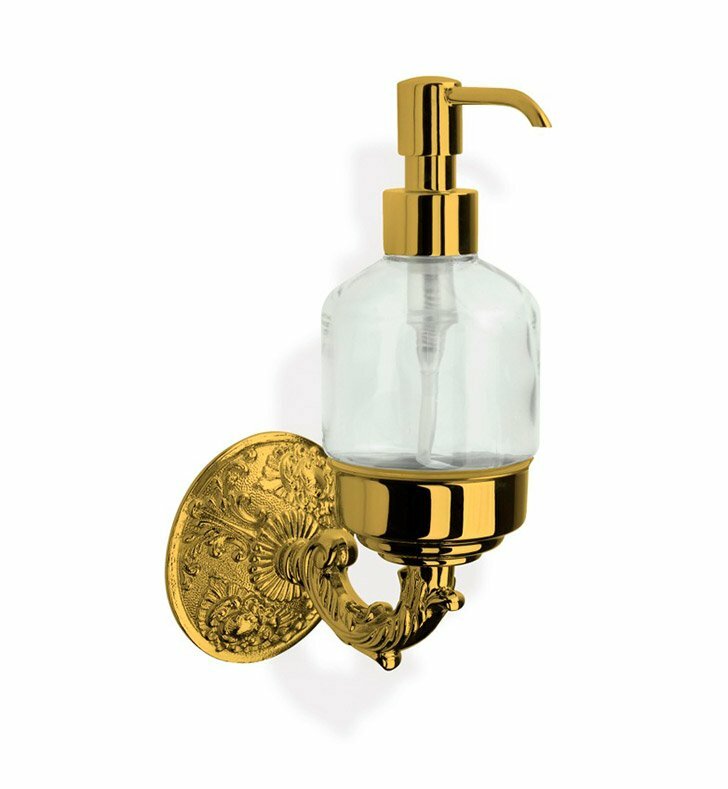 StilHaus' Noto Brass luxury crystal glass liquid soap dispenser perfect for your modern and contemporary bathroom. 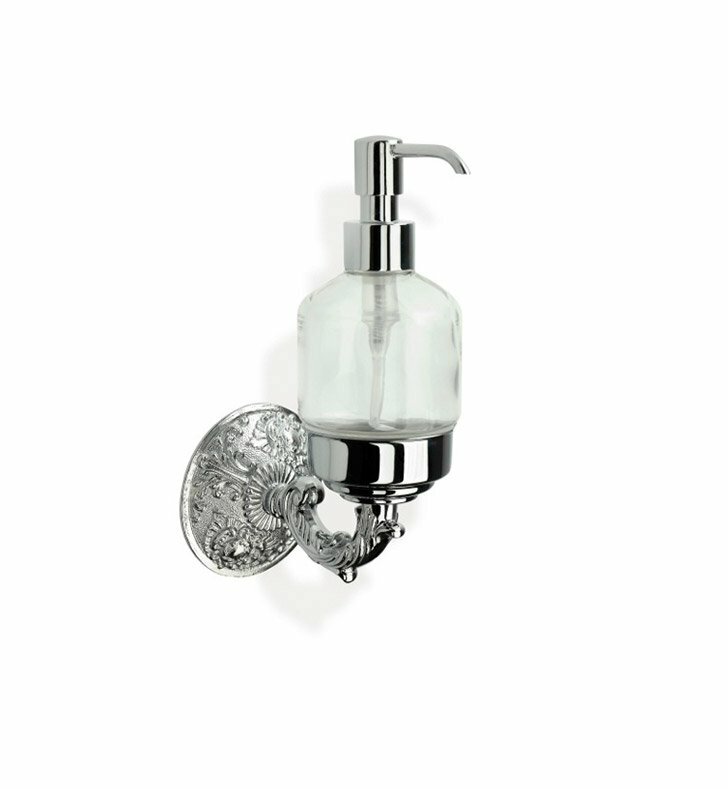 Imported from Italy by StilHaus, this wall-mount soap pump is a modern solution for your decorator personal bath. Made of brass and crystal glass and finished with gold or polished chrome.